Irrespective of their swimming ability children are never safe in and around water, and they must be under constant supervision. 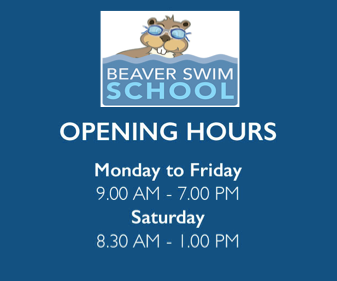 At Beaver Swim School participation in aquatic activities is a happy experience for your children. Our teachers will assist and encourage your child to learn at his/her own pace to ensure success. We emphasise the importance of giving your child an ongoing opportunity to learn and eventually master the many skills associated with swimming - it can be a life saving experience. As parents, we see our child pull themselves to a standing position and then attempt their first wobbly steps. 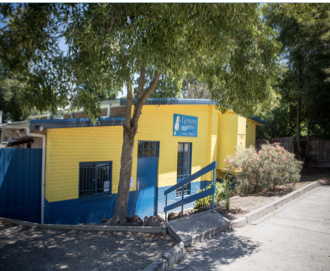 We encourage, assist and give them many ongoing opportunities to practice. We certainly do not stop them for a few months to give them a break! Swimming is also a gross motor skill, even more complex than walking, and requires our ongoing encouragement and assistance to develop. We encourage you to take pleasure and pride in your child's achievements and please assist us in their ongoing learning by giving them the opportunity to practice regularly. Interruption to the swimming program for any length of time causes children to regress in the skill level attained, and this can take many weeks to overcome. 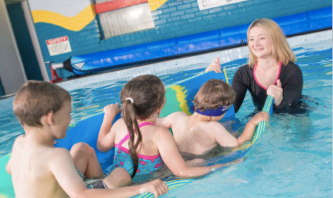 Even for very young starters (4-6 months old babies), we encourage parents to continue the program once commenced.The aquatic environment provides many opportunities to develop both physically and socially, as well as the aquatic skills of submersion and breath control. Whilst it may be more appealing to stay indoors during the winter months, we urge you to consider the importance of continuing your child's swimming lessons. They will have the advantage of improved skills and confidence, and be ready to enjoy the summer months. Please make sure your children are dried thoroughly and clothed adequately before leaving the building. In winter it is wise to ensure your child is adequately dressed when leaving the pool area, including a warm hat as body heat escapes quickly from the head (a sudden change in temperature during the winter months can be detrimental to asthma sufferers). Precautions such as wearing a hat and coat and covering the face between the pool and car can help. Children should be excluded from swimming if suffering from gastro, conjunctivitis, chicken pox, etc. Please refer to the exclusion chart found in this Information Package, or phone our receptionist for further details.